Martial Art styles, and kung fu in particular, are classified by using pairs of contrasting words such as 'external' or 'internal', 'hard' or 'soft', 'long' or 'short', 'northern' or 'southern'. Since these descriptions often lead to confusion the following explanation helps you to understand and define 'Lau Gar'. External styles emphasise the training the fighting techniques, conditioning the body and in training the more obvious forms of strength. They are said to rely primarily on external strength to generate power. Internal styles, on the other hand, emphasise training to strengthen the internal organs, improving and conditioning the circulation of Chi and in training the mind. They derive their power through this cultivation of internal energy rather than through the employment of muscular force. There are really only a few internal styles such as Taijiquan (Tai Chi Chuan), Baguazhang (Pakua Palm), and Xingyiquan (Hsing Yi Kung Fu). 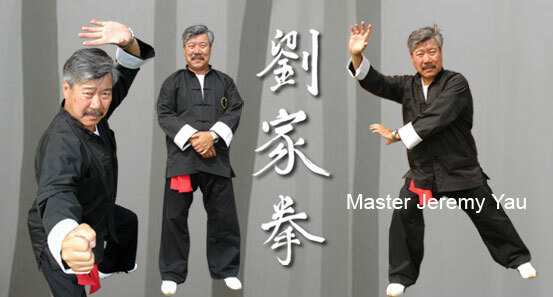 A kung fu style can be classified depending which aspect is trained first. Lau Gar, typical of most forms of Shaolin kung fu, is classified as an external style because of its emphasis on the external forms of training. A 'hard' style will feature blows which are seen to be powerful by an observer and results in bruises and broken bones, plus internal damage if the boxer is good enough and forceful blocks to deal with a forceful attack. A 'soft' style will feature blows which are delivered in a relaxed manner and will damage an opponent internally without causing surface bruising or broken bones. It will also turn a forceful blow aside by non-forceful means such a deflection and yielding to the attack in order to use the opponent's energy against them. A style can also be classified on the appearance of the sets, if they are brisk and forceful then they are said to be hard. Lau Gar tends to be hard although it should be emphasised that even hard kung fu styles incorporate a degree of internal training. Styles classified as 'long' make use of movements are fully stretched. 'Short' styles use movements that are tight and blows that move short distances. Drawing a distinction between kung fu styles by describing them as 'northern' or 'southern' is not only a distinction of geography but also of the techniques and methods themselves. Of course referring to a style as 'northern' refers to the geographic origin of the origin of the style but has also come to mean styles that include tumbling routines, very mobile stances and having an emphasis on dynamic kicks (often thrown to high targets). Referring to a style as 'southern' indicates that the style originated in South China. It also infers that the style emphasizes short, fast hand movements from stable low stances and low licks. Every true traditional martial art is a blend of the 'external', 'internal', 'hard', 'soft', 'long' and 'short'. Moreover such styles will also contain movements which have no fighting application, being designed for improving the health of the practitioner. There is also an argument that states that at the highest stages of kung fu practice there is no distinction between internal and external concepts.